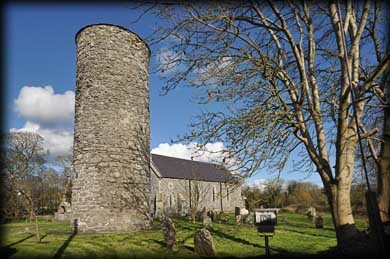 The round tower in Inishkeen is one of the easiest towers to locate. It is beautifully situated in a graveyard next to a local park in the centre of this small village. 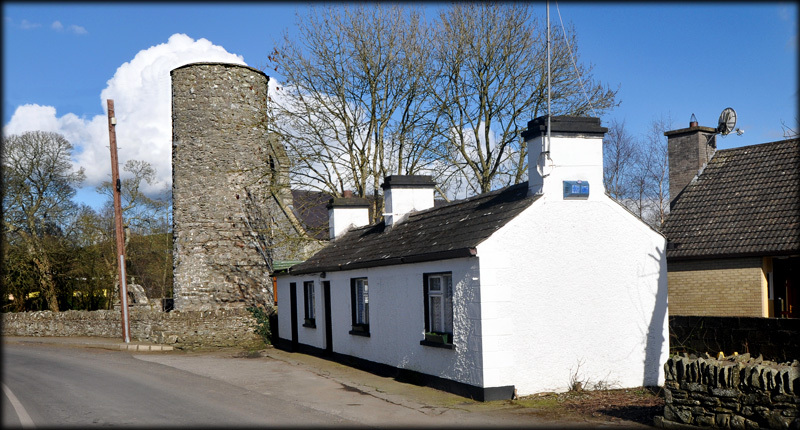 The 12.6 metre high round tower is very plain in appearance. There are no windows present in the drum and the simple lintelled doorway is also plain. The top of the tower bulges out slightly and repairs have taken place. 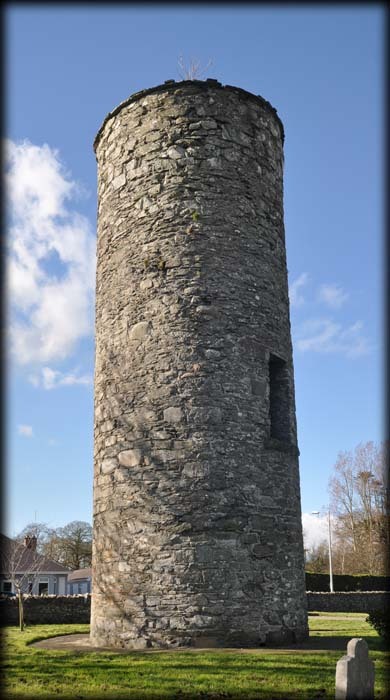 The remaining stump of the tower had been used as a belfry as late as the 19th century and the weight of a new arch that had been fitted to the top plus the bell caused damage to the tower. It is believed the monastery at Inishkeen was founded by St Daig mac Carell in the 6th century, who studied under St Ciaran at Clonmacnoise. The monastery was burned in 789 AD and plundered by Vikings in 984. The monastery was burned for a second time in 1166 AD. Close by is a fine example of a Norman Motte. Situated: From Dundalk take the R178 west for 15 kilometres turn right for Inishkeen (Signposted). As you enter the village turn right after the school. Discovery Map 36: H 9318 0699. Last visit March 2012. Door: Above ground 4.1m. Type: Lintelled.